Update: 11/27/13: This car is on eBay again. Someone with a sense of presentation has taken some decent pictures. Check it out. Still needs a lot. 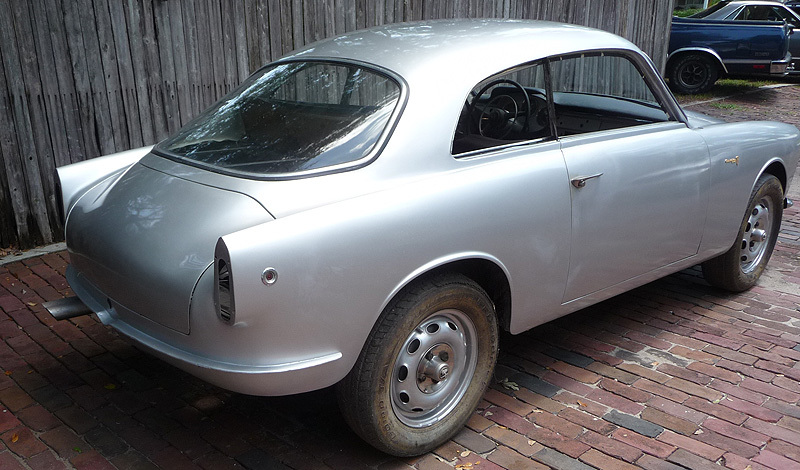 Original post: 8/30/2012: Giulietta Sprint 10105 1495*21160. This Sprint is on eBay right now out of Florida. 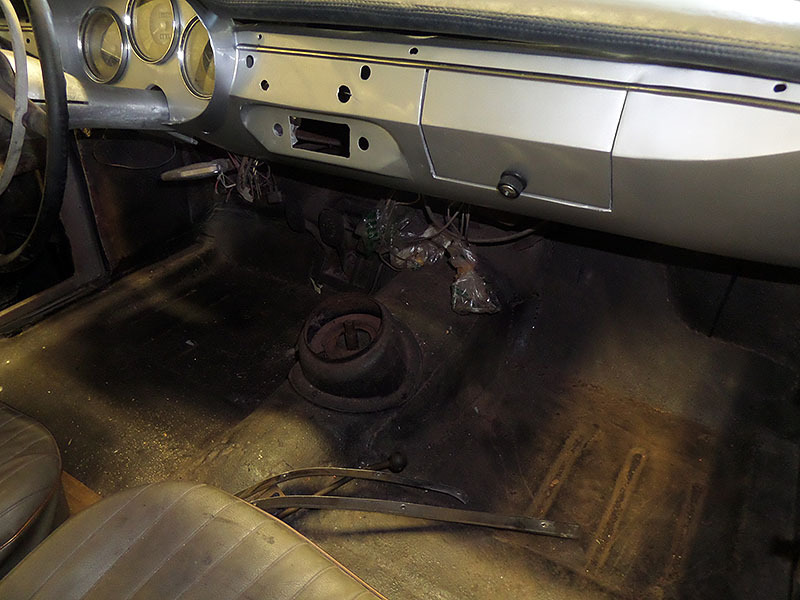 It has all the hallmarks of a stalled restoration that got pretty far down the wrong road and the owner, rather than spend more money turning around and getting back on track the owner has decided to cut their losses. Wonder if it was a fix-it-up-and-sell-it restoration or someone trying to get a Sprint driver on the cheap-ish? Oh, and the starting price is $24,999 – a few bucks on the high side IMHO. Don’t get me wrong -these aren’t easy cars to put together -but really. Lets see… sombrero’s? No. Headlights? No -nice try though. Turn signal lights? Nope. Paint doesn’t look too bad. Weird light. Hmmm. Wheels are Borrani’s. 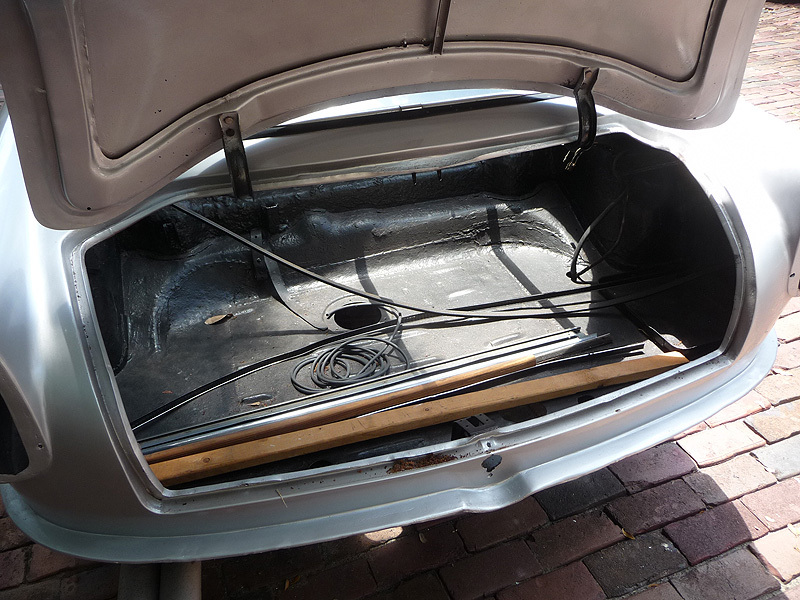 Where are the trunk lid features? It’s scary work drilling through new paint looking for mounting points! Lots of patches in the trunk. Not too unusual in a Sprint. Shame it’s so hard to tell how good paint is in pictures. Is it just me or is the heater box in a weird spot? More patches. What are the bags for? 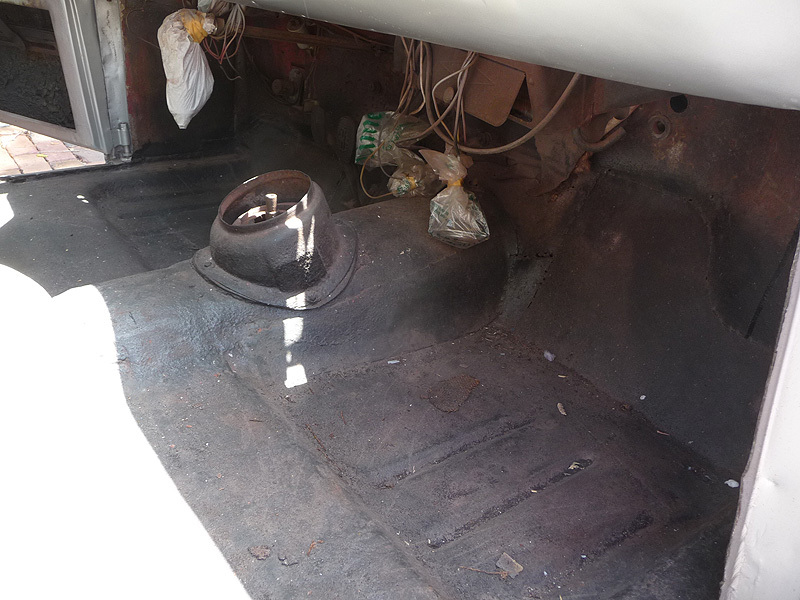 Really -I mean that heater box is above the gas pedal. 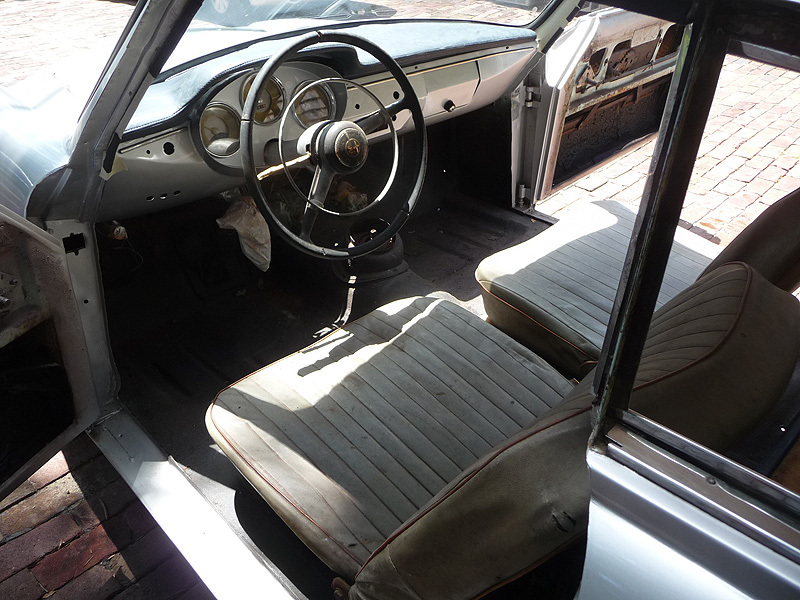 Heh -that dash top is from a 1600 Sprint. Gauges, steering wheel and seats look really crispy. Hope you get all the window trim. A lot of work to do here. All comes apart. Tons of overspray to scrape off. Lots to replate or paint/powdercoat. Heater pass through is in the right place though. Hmmm. By way of positive ID. Odd something or other going on with this duct. Not going to sell at the current asking – or even half. 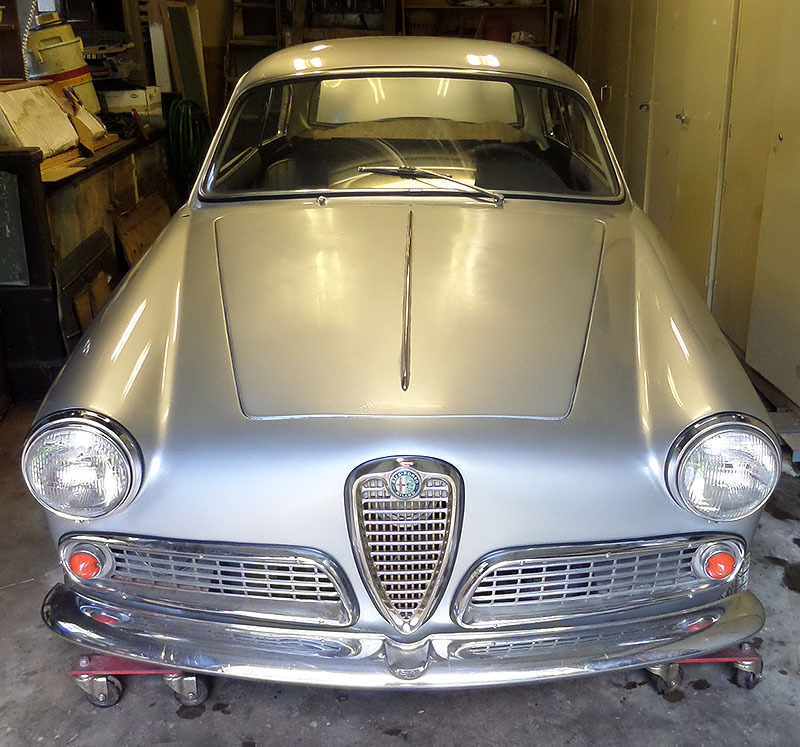 This entry was posted in 101, 2012 markets, Giulietta & Giulia Market, Sprint Normale's and tagged Alfa Romeo, Classic cars, sprint by Hamilton. Bookmark the permalink. If it was free it might still not be a good deal. 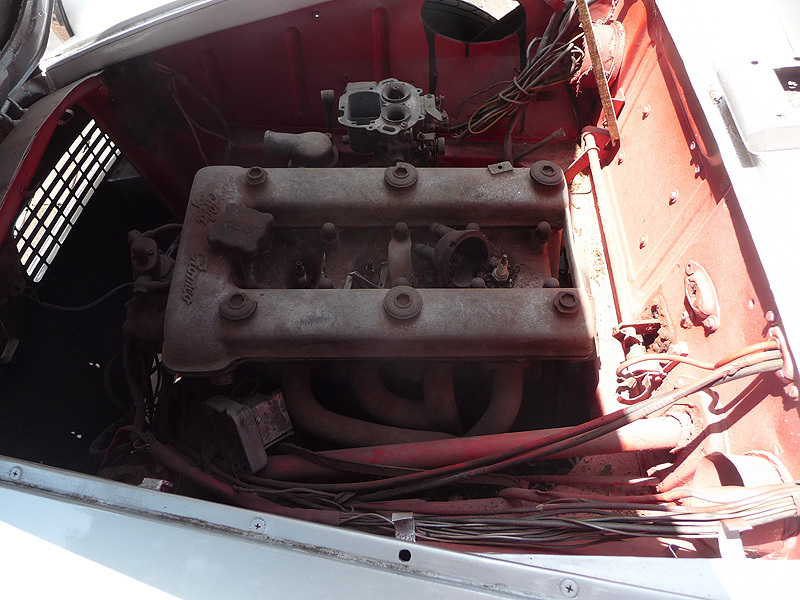 You are right – how can a not so antique car get so screwed up. 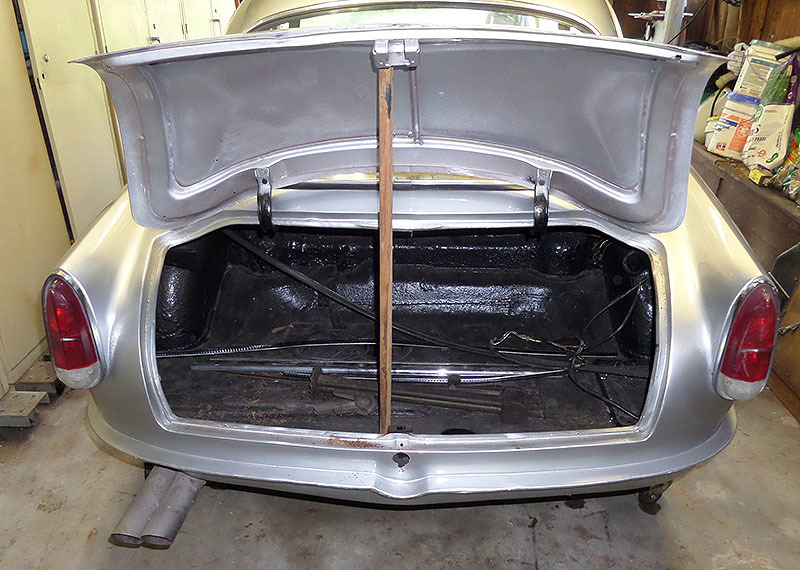 Actually, rather easy to tell … the pile of rust at the lower lip of the trunk / boot opening .. that is the result of closing the lid and shaking out the loose “patina” from the trunk lid framing. A clear indicator of what lies beneath the paint. Poor prep means the paint condition, no matter how it may appear now, is only a temporary stage – the Rust Worm lives on in this chassis ! 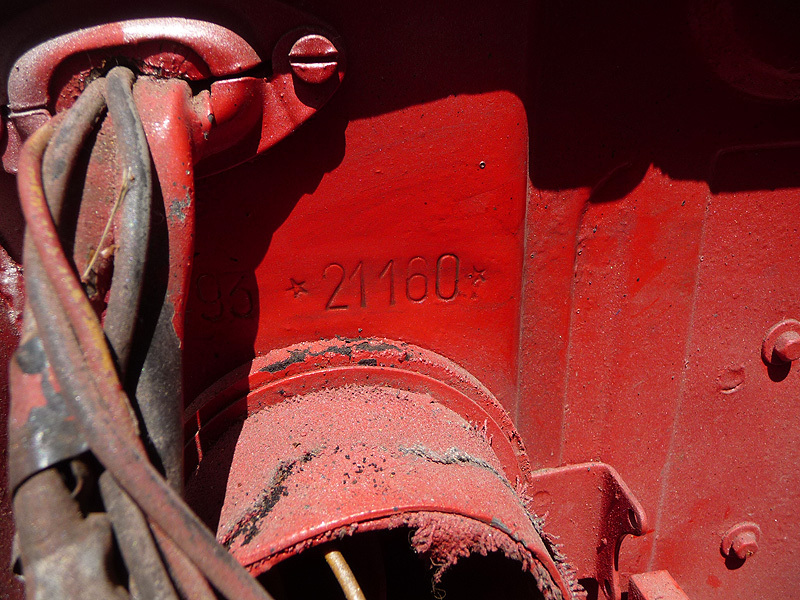 I agree “rust never sleeps”. This is beyond difficult as a project goes. So much missing. I know this car and have seen it in person. A local Alfista owns it and has several cars he has been holding hostage in Economic prison (priced to high so they can never be liberated) He then allows a local hack to do crappy paint work on them and basically butcher them one at a time. He has a spider in about the same shape and several step noses and newer spiders. He also has a garage full over way over priced parts. He is up in years so when he passes his wife will fire sale everything and they may find good homes then. At least they are stored inside and kept dry. 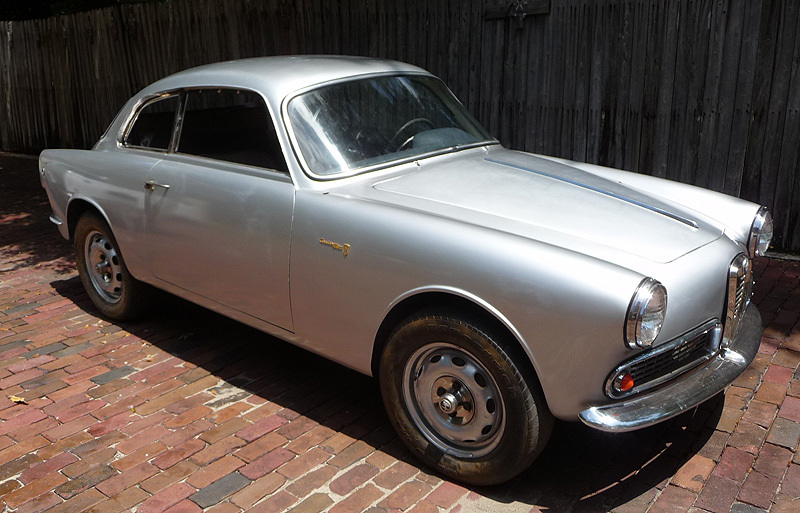 You will have to start this restoration from the beginning again but the bodywork does not look too bad – price should be reduced to half if it should sell.